Ah, the course walk. The first time out, we are generally just there to figure out where we’re going, and perhaps question our sanity (“Why? Why would anyone gallop a horse up to something like this and jump over it? I need help…”). The next walk round, we have come to terms with our questionable mental state and are there to make plans, decide the smartest way to get from Point A to Point B that still manages to keep our horse between the red and white flags, not to mention our legs. We are taught throughout our lives that shortcuts don’t generally get us what we want in the end, but in a sport that’s a bit of a race against the clock, where every extra stride is just one more impact on our horses’ delicate legs, sometimes they really do make sense. So, angle this one, jump the side of that one, and your line’s better to the next, you’ll save a few strides, a few seconds – all pretty simple, logical stuff, no rocket science here. And then, oh God help us all, there’s the black flag option. The course designer has given us an actual choice of which route to take, over just the standard “off to the left or right a bit”, and now this means we’re being forced to use our brains (didn’t we turn them off when making this our sport of choice?) and weigh our options. The direct route is usually rather big and challenging, the option a bit smaller and softer but will cost you loads of time and extra galloping. Sometimes we’re on a green young thing and “the option” is the best route to take…but, as a rule, we all set out to attain that elusive double clear when we leave the start box, don’t we? 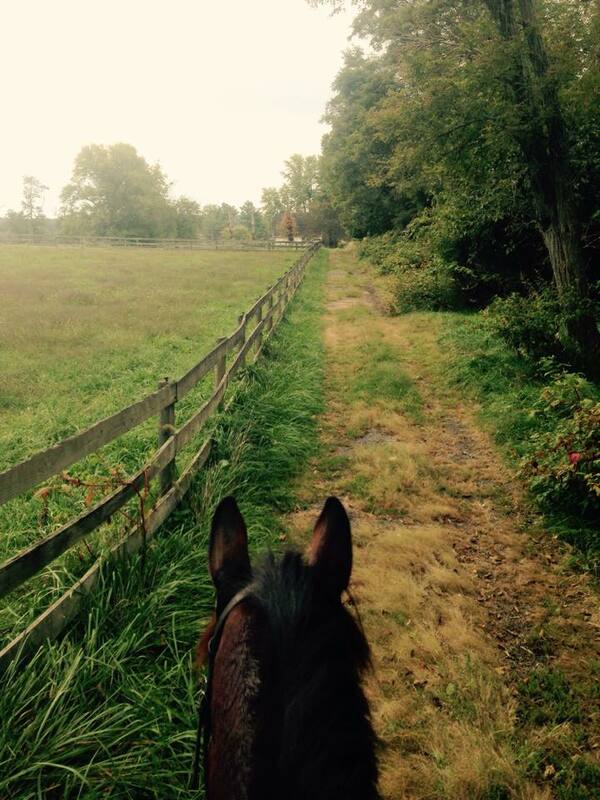 The option may be a safer bet, but if we didn’t believe our horse could handle the direct route, we wouldn’t be there. So, typically, we plan for the direct route, walk our option just in case, and see what we’ve got underneath us on the day. I have done both, really. I’ve planned to play it safe and gotten out there to discover my game Pirate has lined up his fences before I have, and on through the tough route we go, no questions asked. I’ve also jumped into a line, realized we had it all wrong, and had to make the very quick decision to take the option. 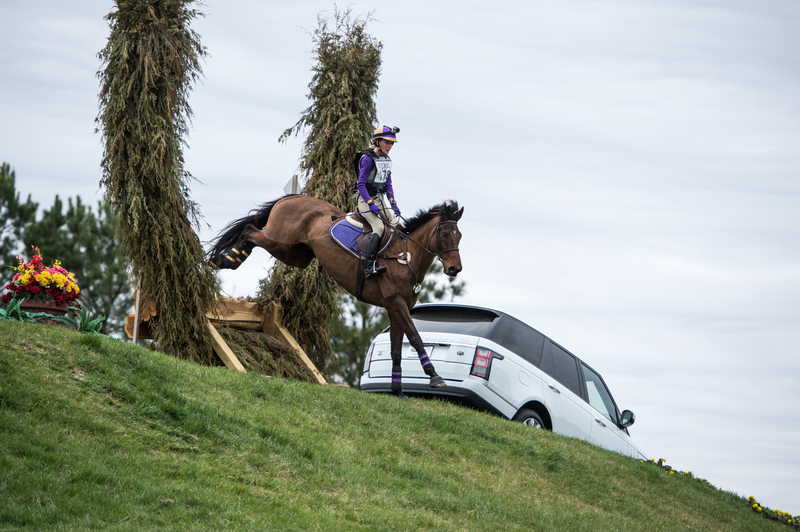 Eventing is all about thinking on your feet. The indecisive will quickly end up on the ground; split second decisions must be made, and they had better be the right ones. I think that’s life, though, isn’t it? You can plan and prepare and have it all laid out just so, and suddenly you are like the coyote in Looney Toons and you’ve run off the edge of a cliff to discover nothing but air underneath your feet. No one is immune to the sudden, unexpected change that will sometimes be upon you. 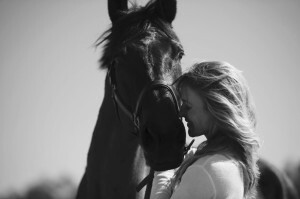 Life will alter its course without your permission, and I’ve had my share of it over the years, horses and otherwise. Once upon a time, I spent years of my life with someone I was certain I’d have forever, and all in a flash discovered they had been living a whole other life on the side. Call it only child syndrome, but I don’t share well; so it was easy enough, in the initial hurt, anger, and shock, to leave. Pull the right rein hard and take the option, INDEED. But walking away – really and truly, once and for all – was much harder to do. Yes, his morals slipped, his insecurities finally failed him; but my God did I love that man. 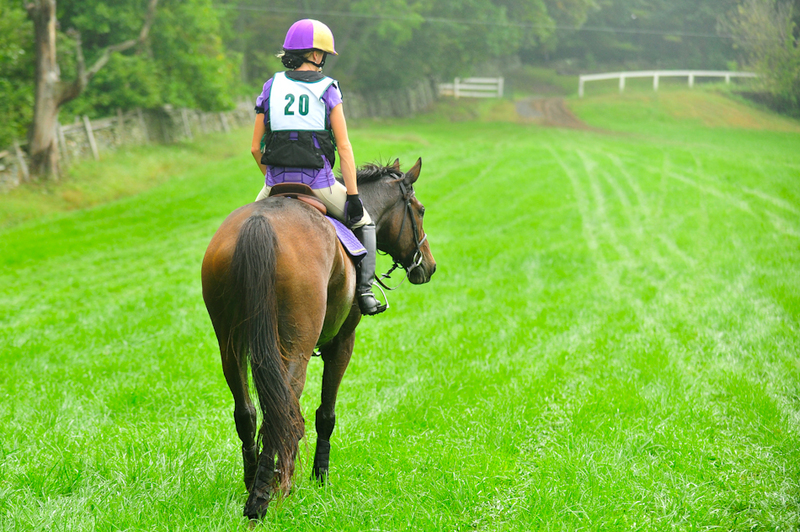 Even after the best cross-country round, the adrenaline wears off eventually, and as you come down off your high, little things begin to bug you. There’s always the line you could have ridden better, the fence where your horse saved you, at times even pure luck getting you through a combination. Suddenly, you see “perfection” isn’t always so perfect. And on the rounds where you know it’s gone all wrong, you can blame the horse for the refusal, the run-out, the fall; but the horseman looks inward and realizes that they simply failed to see what was coming in time to make it right. It can eat away at you, rattle your confidence, make you question every last thing you’ve done; but then again, that’s what sets you above, isn’t it? That constant desire to improve yourself as a rider, a horseman – do better, be better – even when the score sheet reads double clear. When it doesn’t, you must discover how to right it; learn from, but not fixate on, your mistakes. You must still find the good, find the best parts to focus on going into the next. Both exist in every ride; it’s never all good or all bad. It’s up to us to learn how to see it all, learn how to handle the best without getting over-confident and the worst without falling apart. To dwell on the bad will breed more of it, and it will ruin you from the inside out. 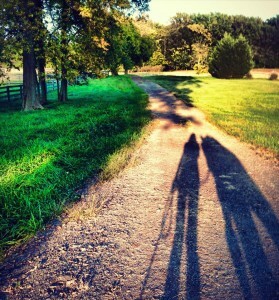 This autumn has seemed to be nothing but one change of plans atop the other, but I’ve loved every minute of it. Okay, not every minute. Pirate’s heel grab was bad enough not only to scare me to death (oh, the amount of blood that can escape a horse’s body in a short period of time…. ), but to knock us out of our first couple of events of the season. After handily winning a Prelim in August just to get out and about for the first time since May, we had to skip Five Points and Poplar, therefore foiling our plans to jump around the CIC** at Morven Park (none of our events from 2011 apply as qualifiers, and we only ran one Intermediate in Pirate’s comeback tour of the spring). 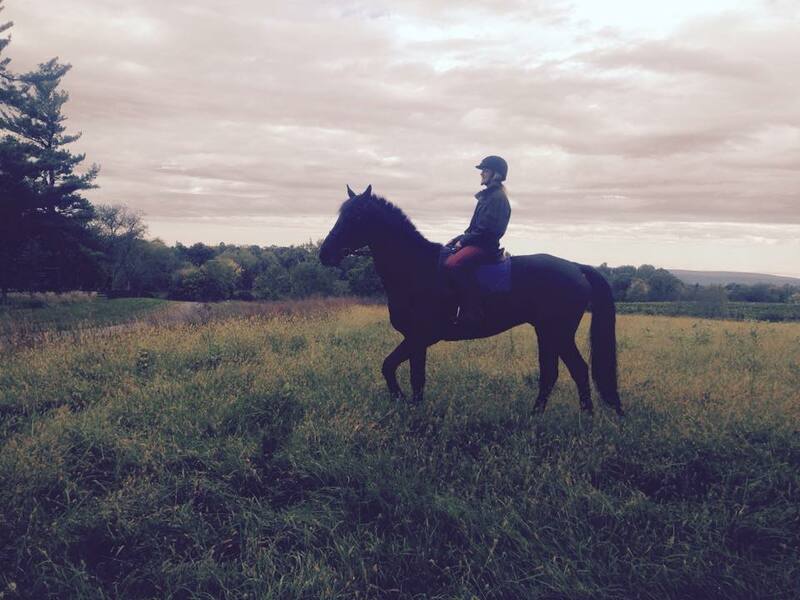 But I have learned nothing if not to be adaptable over the last couple of years, and as I coached a student on my lovely young horse Geno at Five Points, I came up with a new plan – a better plan. To run Intermediate at both Surefire and Morven Park, staying the week between for a full ten days in my beloved Northern Virginia. 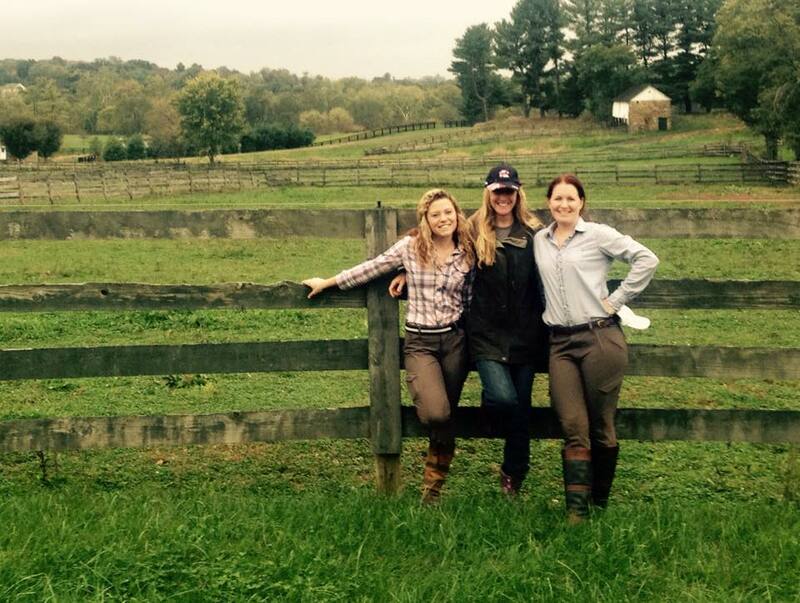 Oh, what those Virginia hills would do for us! If they can’t right us, strengthen us, inspire us, nothing can. So, after coaching a huge group of students at Tryon (and finishing second on a lovely little pony recently put in training with me), Pirate and I packed our bags and headed north. The morning of Surefire dawned warmer than usual for late September, and Pirate was more relaxed, happy, and obedient than he’s ever felt in dressage. Our score fell short of expectation (still respectable, but not quite on par with what I’d thought), but it was the most accurate test we’ve ever had, and I grinned ear to ear throughout the entire thing. Apparently, I had that goofy smile in all of warm-up, as someone asked how I could possibly be so happy doing dressage. “I’m just so happy to be here on this horse,” I said. Truer words were never spoken. Everything is right in my world when I’m on Pirate. Everything is right in my world when I’m anywhere at all with him, really. Our stadium round was probably the prettiest we’ve ever had. Relaxed, confident, jumping beautifully. I wish we’d had a bit more time to celebrate my perfect boy’s round, but in the rush of the one-day format, it was mostly just pats and praise on the way to the start box. Out of it, he was spot on at almost every fence…and then, I rode him completely backward to one of the biggest fences on the course. I guess it had been too long since I’d had anything sizable in front of me on cross-country, and I froze in the phase that is normally my strongest. Thank God for Auto-Pirate, there to save the day as always. 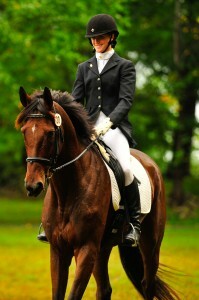 He is much too good to me, such a better horse than I deserve. But somehow, I’ve ended up with him anyway, and he gave me a fantastic round, so forgiving of my mistake. He’s more honest than anyone, horse or human, I’ve ever met. Though Pirate loves water and it’s normally a strong point on course for us, he’d never before seen a bounce into water, so it backed him off and we were sticky there, though of course my boy didn’t think of stopping. We landed in a bit of a heap, though, no forward momentum and just not enough space to get it in time for a safe jump over the big, exceptionally narrow skinny at the C element. So, quick change of plans, on to the option. It took us ages to circle back around to it, but no matter. We went slow after that, saving him for Morven, and he popped over the big ditch and wall, the giant table, and several combinations (angled hedge to narrow triple brush, keyhole to big corner), like they were pony club fences. The score sheet may not technically be impressive from that round, but boy was I happy with my Pirate! The week leading up to Morven could not have been more perfect. We stayed at the beautiful Hedgeland Farm in Waterford and spent every day galloping up and down steep hills, trotting along the vineyards, and cantering down grassy lanes surrounding neighboring farms. Always my soundtrack of The Beatles playing, and always imagining it was the English countryside we were exploring on those misty grey mornings. I was on him an hour and a half each day, and we were always a bit sad to finally turn towards home; Pirate loved our adventures. He’s always so game. When I wasn’t on him, I was hanging out with him. It’s easy to get lost in the rush of barn work, rides, and lessons back home. But there, it was just us, sun-up to sun-down. It’s you and me, Pirate. Always you and me. Alas, the high was not meant to stay for long. The slick stadium course walked like something out of the twilight zone, with backwards turns and distances that just didn’t add up. Still, you can’t blame the course. Pirate didn’t feel like himself in warm-up, and it wasn’t any better on course. We’ve had our share of rails in the past, most of which I can either blame myself or Pirate’s cheekiness for, but this time, we just missed – BAD – at two fences, both big oxers. The second one was the in of a double, and though he was locked on and going to try to jump the out, I quickly pulled him out of the line to avoid another crash. While they reset the fence, I patted my Pirate, who knew things weren’t going well. And God love him, he was an angel the rest of the way through, so quiet, so careful. He got as much praise as if he’d jumped clear. But walking back to the trailer, he just wasn’t right. Not physically, but in his mind. I’ve never seen that look in his eye – not afraid, just looking at me sort of sideways with big eyes, ears only tentatively up, as if he was saying, “Momma? You’re not mad, are you? I know I messed up but I tried hard, Momma! !” Jesus, it broke my heart. He’s always seemed so confident, always responded to pats and praise with a little bounce to his step. But he’s a smart boy, and he knew this time was different. My sweet wonderful Pirate. I couldn’t bear seeing him look disappointed in himself. That, coupled with heavy overnight rain and two big divisions to run before him, made my decision not to run xc very easy. The course suited him, and he probably would have gone out there and jumped clean. But, for what purpose? Another pounding on those lovely strong legs, asking him to jump out of deep footing just for the glory of completion? Better a horseman than a hero. So I took him back to Hedgeland, and the morning of cross-country did what I knew would set him right – galloped our favorite hills and continued our exploration of the countryside. He was balanced, strong, fit – and most of all, happy. He had a blast, as I knew he would. Who cares we missed cross-country; we found a fence or two to jump that morning, and he dragged me to them. That’s my Pirate. Even a clean round at Morven, which I’m sure would have made him very happy with himself, would have meant plenty of ice on his legs, a few days off, a slightly tired horse from his efforts out of deep footing. But this way meant no real strain to his body, no proper risk. My mind was on his confidence, already thinking of our next outing. Sometimes you have to go for it, and others you’ve got to think about the future rather than immediate glory; and Pirate and I have our eye on a stint in the UK in 2016. Say what you will about this goal. It may seem lofty, and it may seem pointless. There are surely more deserving pairs out there. But I don’t care. It’s what I’ve wanted to do for nearly all of my life. If Pirate’s game, so am I. I can’t imagine being there with anyone else. Virginia hills or English countryside, it will be you and me, Pirate. In the meantime, we have plenty to keep us busy this fall. 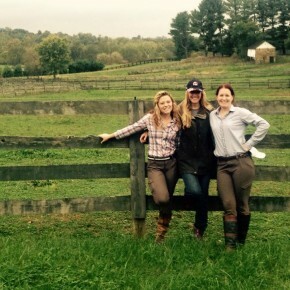 Apart from Virginia Horse Trials to prepare for, we are anxiously awaiting the arrival of Francis Whittington, who will be here for a week in early December to teach out of my farm – several days of private lessons and also a clinic, part of which will take place at the fabulous Gibbes Farm in SC. I believe I was more excited to buy his plane ticket than I was to send off any of my entries this fall. For Francis, who so saved the day for us back in Jan 2013 when P broke his neck, to actually see my miracle horse work, to sit on him and coach us and help us towards our goal of competing in the UK in a few years…it will be magic, I’m sure. I may have to keep Pirate in bubblewrap before he comes over – only the one more event on the schedule in this abbreviated fall season of ours – but thankfully I have something else to keep me busy. I’ve had a lovely little mare in training with me since May who was initially supposed to be conditioned by me and then sent down to Camden for proper race training, as her owner, who owns a few racehorses, has always wanted to see her steeplechase. I told him from the start I’m no racehorse trainer…but as the summer turned into fall, he just didn’t want to send her away. He wanted her to stay with me, but still race over the hurdles. His faith in me and my program, not to mention his little mare, finally convinced me to get my trainer’s license with the National Steeplechase Association. I have a good friend in this world who has been a mentor to me for years, so I’m lucky not to be entirely on my own in this venture. So, I can’t believe I’m saying this, but off to the races we go this fall! .All professional photos © Jamey Price Photography. 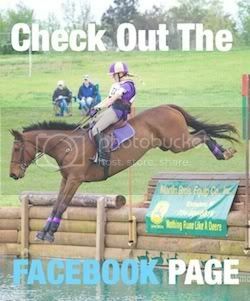 Posted in Blog and tagged with 3 Day Eventing, ArcEquine, CCI**, Cross Country, Dressage, Eventing, FEI, Fox Hollow Farm, Francis Whittington, Gibbes Farm, Hedgeland Farm, horse trials, Intermediate HT, Kelsey Briggs, Kelsey Briggs eventing, middleburg, Morven Park, Morven Park Horse Trials, Off Track Thoroughbred, OTTB, Show jumping, Surefire Farm, Surefire HT, The Gentleman Pirate, Thoroughbred, Three Day Eventing, Tryon Riding and Hunt Club HT, two star eventing, United States Eventing Association, USEA, virginia, Whittington Eventing, XC. RSS 2.0 feed.